Edge Following with OCTOPUZ is easy, reliable, efficient, intuitive and economical. There are many types offered, such as Waterjet Cutting, Spindle Trimming, Deburring, Laser Cutting, Plasma Cutting, Knife Cutting, Dispensing, and more. With OCTOPUZ, you are able to quickly modify tool orientation for entire path to avoid errors, tilt all positions forward, backward or sideways, increase or decrease the number of path positions or spacing points, and control cutting depths. Pratt & Whitney, a world leader in the design, manufacture and service of aircraft engines and auxiliary power units uses OCTOPUZ in their work. “OCTOPUZ has been instrumental in our success of manufacturing new products with a rapid and efficient approach. The flexibility of the software and support of the OCTOPUZ team is second to none” says Ryan George, Pratt & Whitney. 1) Error-Free Programming: With OCTOPUZ’s built-in simulation software, you can proactively detect and eliminate potential errors with greater confidence. 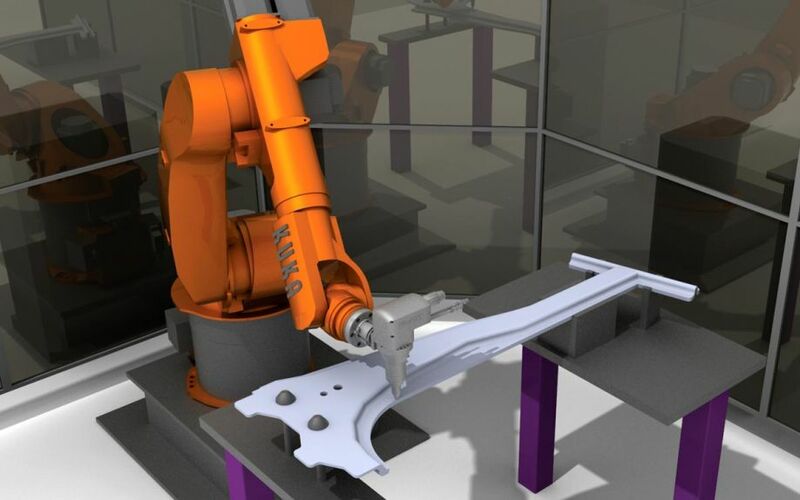 The ability to build, visualize, and simulate your process ensures that your program is error-free, with all collision, singularities, joint limits, and reach limits checked before posting. 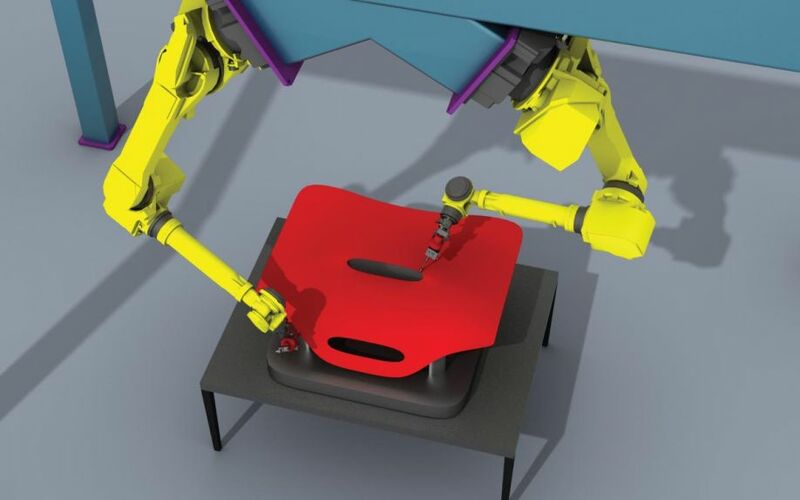 2) Reduced Programming Times: OCTOPUZ is intelligent robot programming software that will deliver faster programming times for your Edge Following applications, while minimizing downtime. 3) Greater Cost Savings: Programming with OCTOPUZ means you’ll never have to lose money due to robot downtime, simply because there won’t be any. OCTOPUZ offline programming allows you to create and simulate any edge following applications without any decrease in productivity. 4) Versatile and Intuitive: OCTOPUZ’s powerful software is perfect for highly experienced professionals as well as those new to the field of robotics. An intuitive interface with responsive edge selection and organized cutting parameters makes programming easy and caters to more efficient, comprehensive training.